Looking for something fun to do this weekend with friends? Book a beer/wine/gin tasting! Over the years I’ve often seen the comical signs suggesting ‘Save water, drink wine.’ The current drought in Cape Town has made me take the sentiment to heart, and thankfully there is no shortage of drinking spots in the Mother City. I decided to visit three lesser-known tasting venues. It’s no secret that gin is “in”. There are now almost 100 artisanal gins available in South Africa… and the number grows daily. 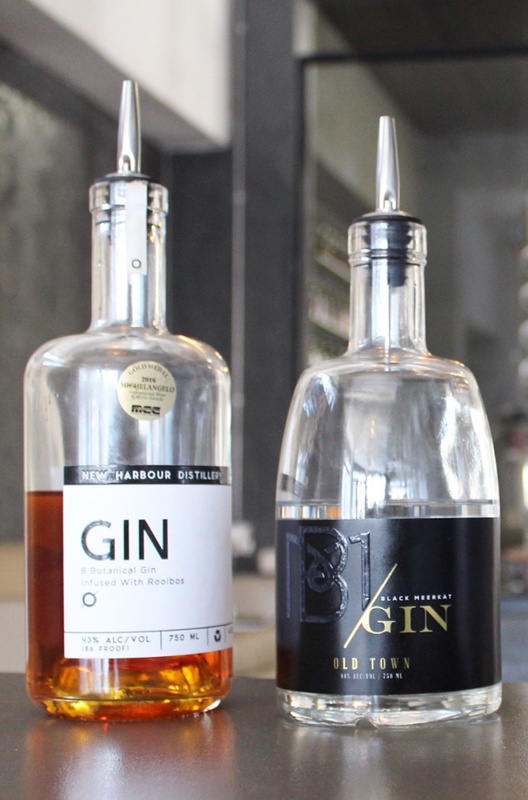 Having heard of New Harbour Distillery, I booked a tasting at their trendy Woodstock space. Married couple Nic and Andri are tour de force behind this local distillery and are quickly making waves in the industry. Nic is a chemical engineer who began his liquid alchemy 9 years ago by making ‘witblits’ and ‘mampoer’; he has thankfully now upgraded to making some of South Africa’s finest gin. They have a variety of offerings – most notably gins inspired by, and infused, with local ingredients. I asked Nic where his 101 Guide to Distilling South African Botanicals was; he quickly laughed, noting that because such books don’t exist they have the pleasure of (a lot of) experimenting. Although their rooibos gin is one of the most popular, I was rather taken aback by their Spekboom offering. This innocuous little plant has a high vitamin C content and citrus flavour, but is also a surprisingly active carbon warrior – one square meter of the plant will offset a year’s worth of car emissions! The gin is a close match to the Tanqueray 10 which also has a citrus heart and floral notes. The tasting experience is an informative and intimate one (make sure to ask them to show you some of their funky distilling equipment)! Contact them here to book a tour Wednesday to Friday, or book yourself one of their monthly gin-making workshops to make your own bottle! Just before entering the gates of the historic Groot Constantia Wine Farm you’ll find High Constantia tucked away on your right. Owner David Van Niekerk is an entertainer and raconteur of note. He is the General Manager, viticulturist, fork-lift driver…and pretty much everything else at the farm (one of the only privately-owned farms in the Valley). He manages around 10 hectares of grapes (there being 420 hectares in Constantia in total), and I visited for a tasting. The Springboks had just lost a match: David was suitably unimpressed. The only way to rectify the situation was to drown the frustration with some bubbly. High Constantia is most known for its MCC and David has put in a lot of work to achieve what he calls the perfect bubbly – extra-dry, and in the glass, having a ‘ring of mousse and slow-rising bubbles’. Two glasses of champagne and two G&T’s later, we started on his still wines. The Sauvignon Blanc and Cabernet Franc are certainly worth writing home about. 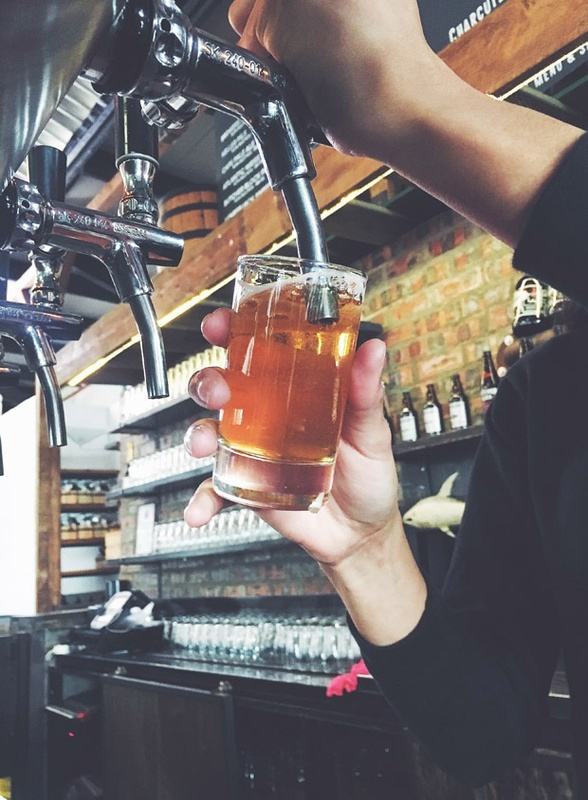 The craft brewing scene landed in Cape Town over a decade ago. It has left in its wake a series of fabulous breweries. Jack Black beer is one of the more well-known brands, with most restaurants and pubs in town sporting their beer on tap. I decided to pay them a visit in Diep River and see where all the magic happens. The brewery only opened in late 2015; prior to that, they had been brewed at the CBC premises at Spice Route. R50 gets you a personal tour of their new home in Diep River – definitely worth doing. Not only do you get to see their uber-impressive machinery at work, but also get an informative education on how beer is brewed. The brewing is done in the German-style and so holding to the reinheitsgebot where only four brewing ingredients allowed: water, barley, hops and yeast. Follow Jared Ruttenberg on Instagram. With the gin boom in full swing in South Africa, there are lots of distilleries that offer tastings and tours. Here are a few to start you off. 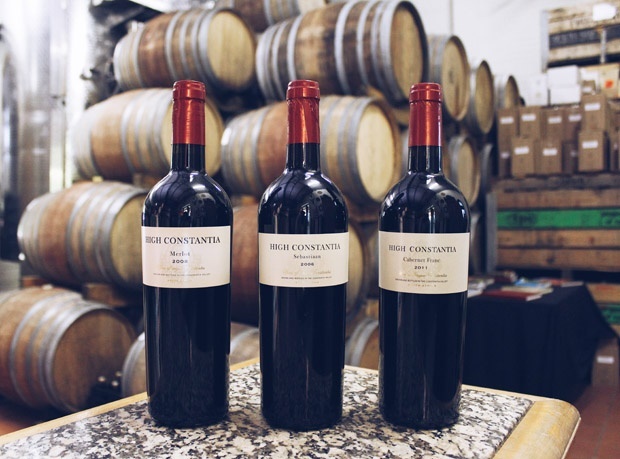 by: Leah van Deventer | 22 Jul 2016 Cape Town Hope on Hopkins in Salt River has various tours and tastings.